I started practicing yoga two years ago when I was working on an Island in UAE. My job was very stressful. 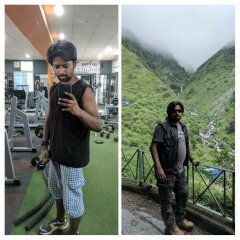 I was away from my family working as a fitness trainer. But, over a period of time I realised I myself was getting so stressed due to the fact that I was over worked. I was working for twelve hours a day without any weekly off. I was on a 5 month rotation and then would get one month off. But, working for five months continuously without a weekly break was strenuous and very difficult. Also my job was not all that interesting. I was doing the same thing day in and day out. Also, in the 5 months that I was there I wasn’t allowed to step out of the Island. It was almost like I was jailed in that Island. All this naturally took a toll on me and more often than not I would be stressed. It was in order to control my stress that I started practising yoga. Few days into practicing yoga and I started feeling better. I could control my stress levels easily and was more relaxed both physically and mentally. Thus, my interest towards yoga started developing. 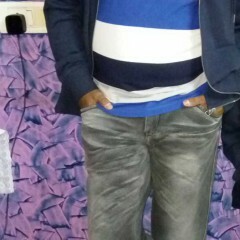 After 5 months when I returned back to India, the first thing I did was to enrol myself into a one year Executive P.G. Diploma in yoga. 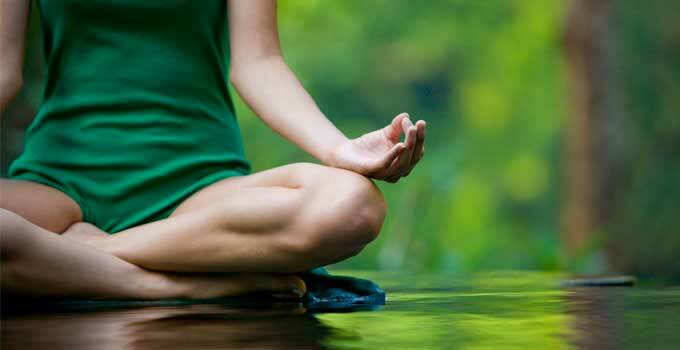 Yoga is a gift from ancient Indian tradition to mankind. Despite more than a century of research, we still do not have much knowledge about its earliest beginnings of Yoga. It is known that it originated in India 5,000 or more years ago. Until recently, many Western scholars thought that Yoga originated much later, maybe around 500 B.C., which is the time of Gautama the Buddha, the founder of Buddhism. But then, in the early 1920s, archaeologists surprised the world with the discovery of the so-called Indus civilization—a culture that we now know extended over an area of roughly 300,000 square miles. This was in fact the largest civilization in early antiquity. In the ruins of the big cities of Mohenjo Daro and Harappa, excavators found depictions engraved on soapstone seals that strongly resemble yogi-like figures. Today, it is one of the oldest forms of exercise that people have been practicing for centuries now. Yoga has also crossed the seven seas and has become one of the most sought after recreational and fitness activity in the western world. Having learnt yoga and got a degree in the same, I can definitely talk to you about yoga at a different level. To begin with I would like to let you know that there are different styles of Yoga but I would encourage people to practice only ‘Traditional Yoga’. Traditional Yoga seeks to provide plausible answers to such profound questions as, “Who am I?”, “Which place do I come from?”, “Where do I go?,” and “What must I do?” These are some of the questions that, sooner or later, we all end up asking ourselves. Some of us postpone thinking about these questions, but they don’t ever go away. Yoga is a good way to tackle these issues that play on our mind. Yoga doesn’t champion dark moods, but it is definitely in favour of awareness in all its forms, including self-awareness. Let us now try and understand what Yoga is according to different texts? Yoga i.e. Yuj in Sanskrit means the union of mind and body. Patanjali, the author of Yoga Sutra – and who is often called the “father of Yoga who understood the process of Yoga thereby restoring the spirit in its absolute purity. According to Patanjali- AshtangaYoga , is ‘Chitta Vritti Nirodha’ which means the control of thought waves coming to the mind. In other words Yoga helps us develop the ability to focus and ability to defocus. According to Yoga Vashishtha, yoga is a technique to silence the mind. Bhagwat Geeta says that equanimity is yoga .Efficiency in action is yoga. And the definition of yoga according to Aurobindo is integration of personality of physical, vital, mental, intellectual and spiritual sheaths. There must be a balance between all the five sheaths of human existence. Yoga is about chanting Mantras. According to me Yoga is not about twisting the body and mind but, it is about how to develop a higher level of consciousness. With eight years of experience as a fitness and yoga trainer in India and UAE, Balwant Singha’s passion is fitness. 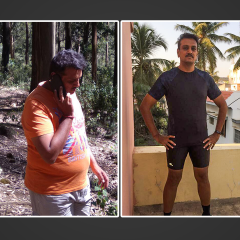 A science graduate from Mumbai University, Balwant is armed with a fitness instructor’s certification from Nautilas Academy and a P G Diploma in Nutrition from Tulip International. After gaining a degree in Yoga from K J Somaiya in Mumbai, he is currently pursuing a Masters certification in Yoga from Nagpur University. Balwant says he is self-motivated and time and again pursues new skills and sets new targets for himself. 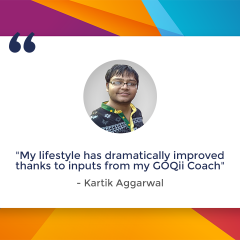 No wonder that he is excited about joining GOQii where he can motivate people in changing their habits and help them walk the path of good lifestyle. He likes GOQii’s idea of a holistic program where people are working on their health and at the same time helping the needy as well. To stay fit, he practices traditional yoga and goes swimming.